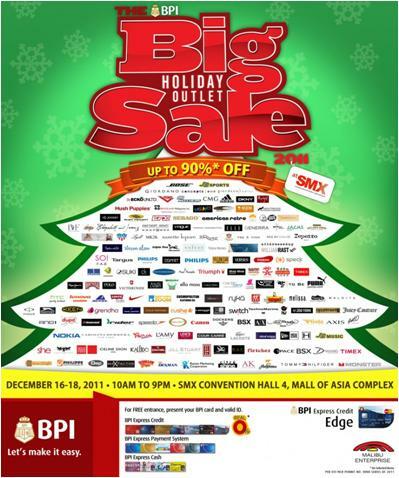 The BIG Holiday Outlet Sale is from December 16-18, 2011. Up to 90% OFF on selected items. BPI Cardholders get FREE entrance with a Valid ID. Bazaar Hours: 10:00am to 9:00pm.